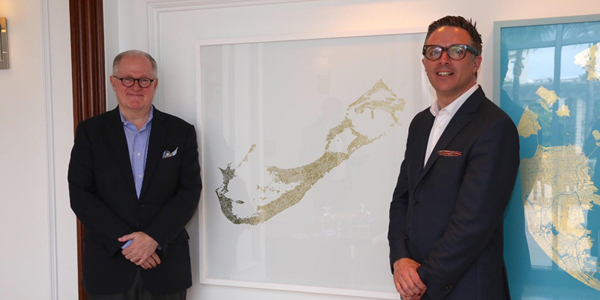 Hamilton Princess & Beach Club is celebrating the international spirit of sailing with a three-month art exhibition in the hotel lobby featuring a series of artwork by Ewan David Eason, which showcases the homes of the America’s Cup teams, as well as Bermuda as the host nation. 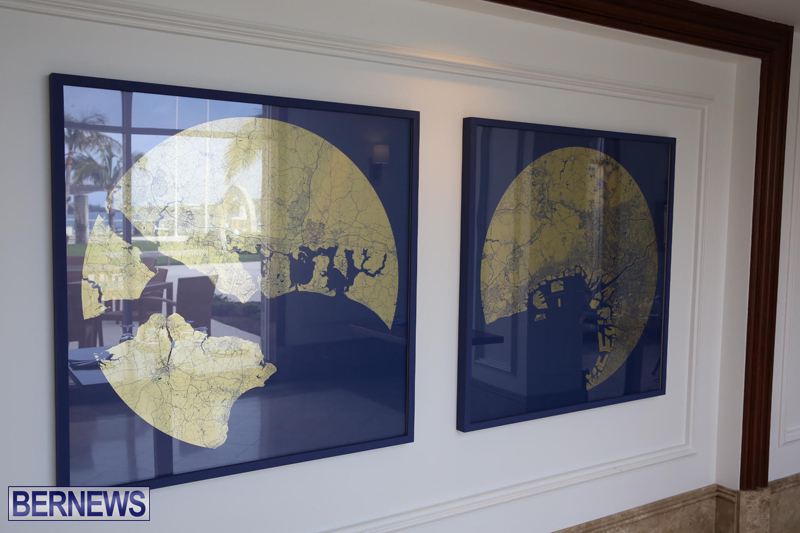 The maps, brushed in gold, feature Auckland, New Zealand; Lorient, France; Osaka, Japan; Portsmouth, England; San Francisco, U.S.; Stockholm, Sweden; and Bermuda. 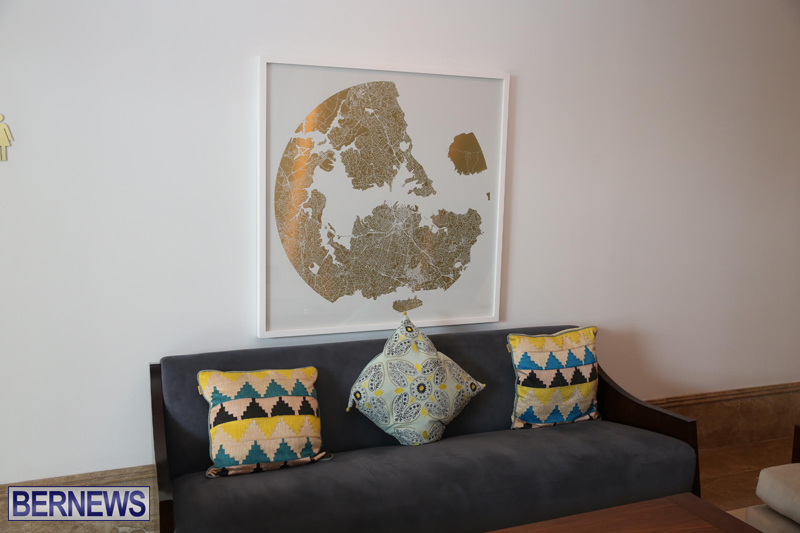 The work aims to bring a new perspective to the traditions of cartography as Eason is inspired by the intricacies of mapping. The exhibition will be hosted in collaboration with TAG Fine Arts, a London-based art dealer and publisher, from April 7 to July 30. 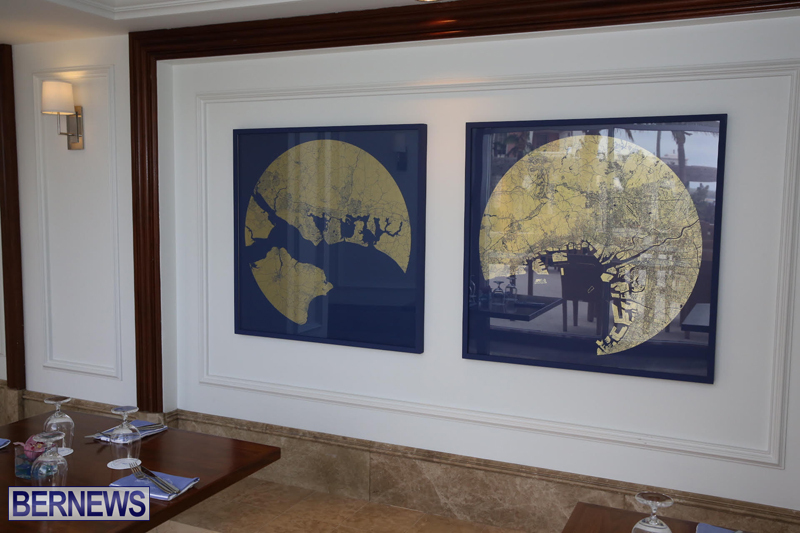 “We are delighted to show seven new works by Ewan David Eason,” says Allan Federer, General Manager of the Hamilton Princess & Beach Club. Eason’s recent work has been displayed in some of the UK’s most prestigious galleries, including the Royal Academy, Christie’s and the Barbican. 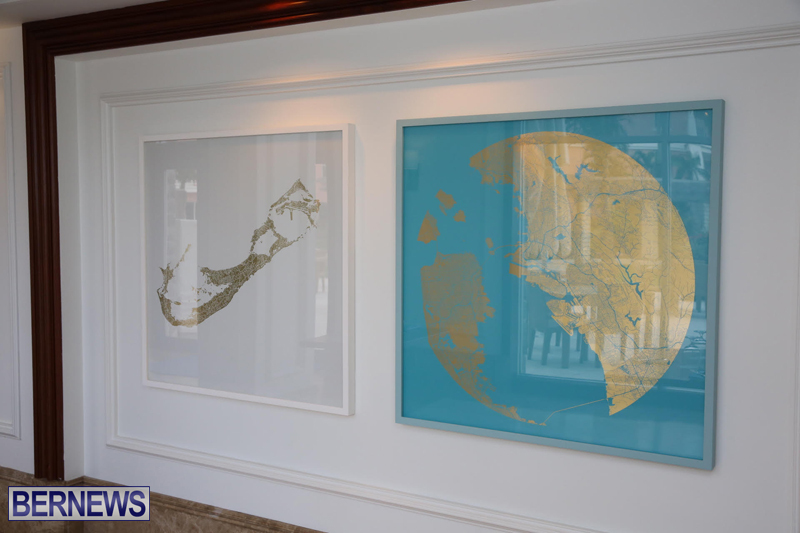 Before coming to Bermuda, the exhibit was previewed at the London Art Fair in January 2017. 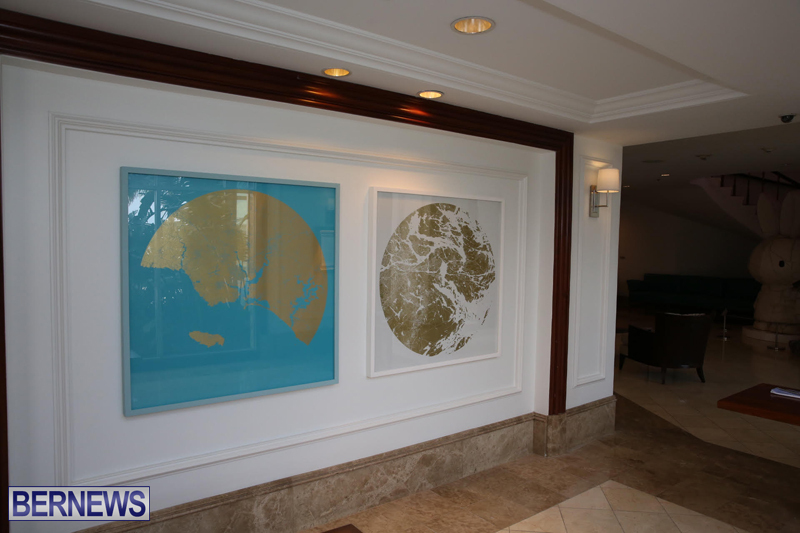 The artwork adds to the impressive collection already on display throughout the hotel, including in the hotel lobby, various restaurants, hallways and in hotel guest rooms. 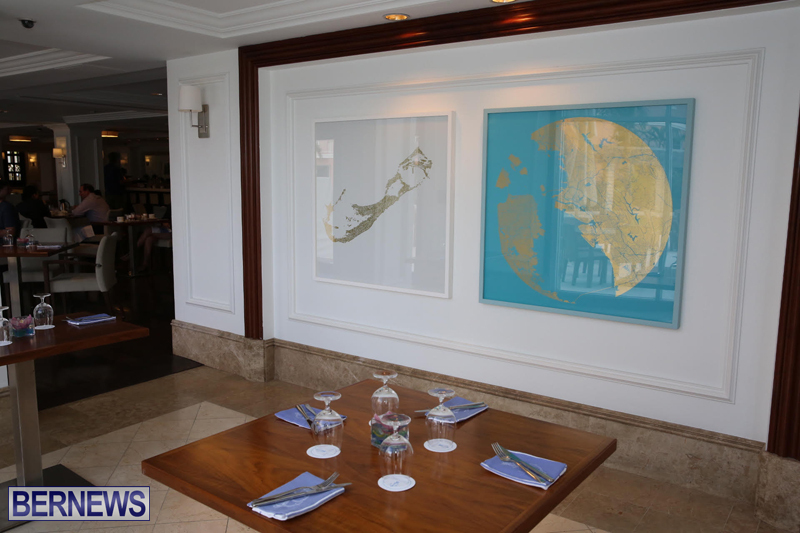 The artwork collection, which has been personally chosen by the hotel owners, the Green family, includes work by artists such as Andy Warhol, Damien Hirst, Banksy, and Nelson Mandela. For more information on artist Ewan David Eason, visit www.ewandavideason.com.